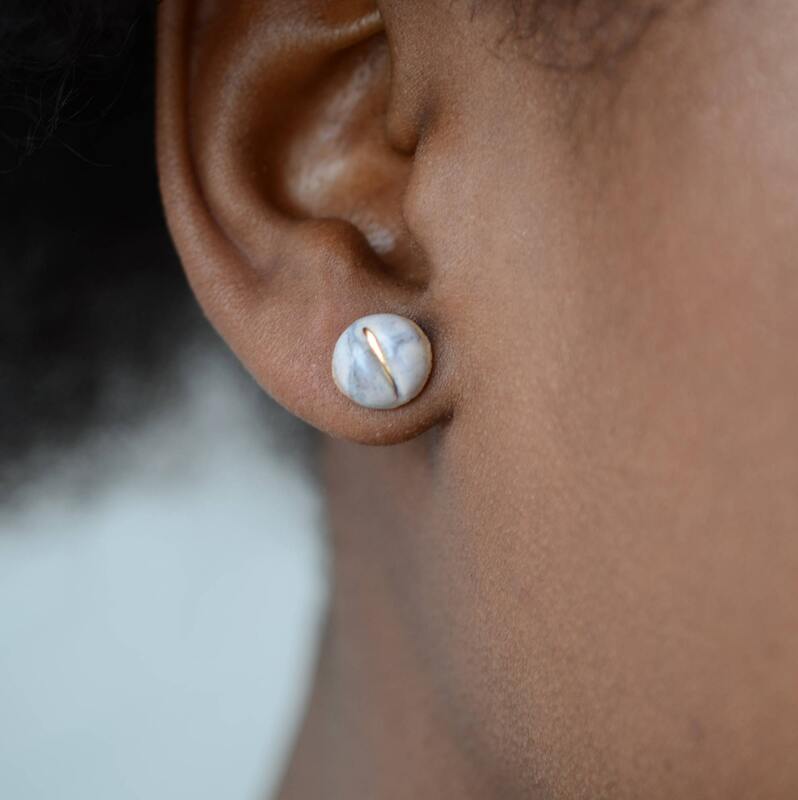 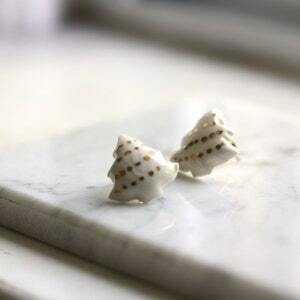 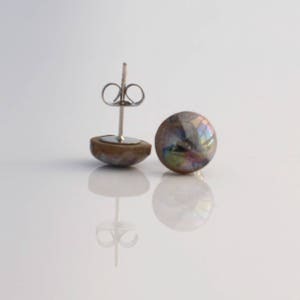 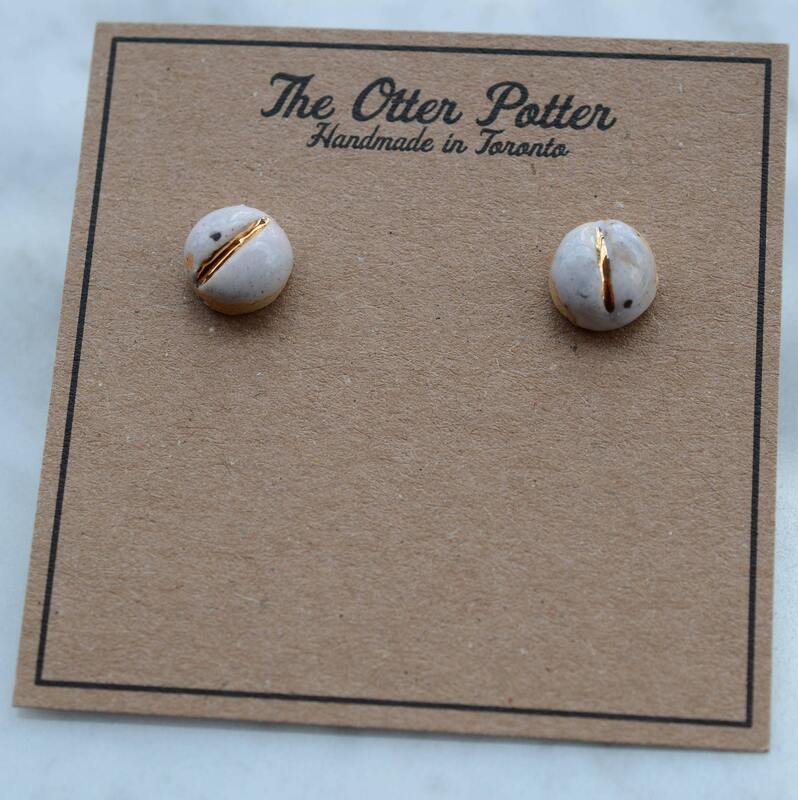 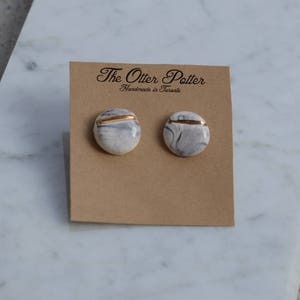 These marbles stud earrings are made with speckled clay and my own hand painted marble glaze. 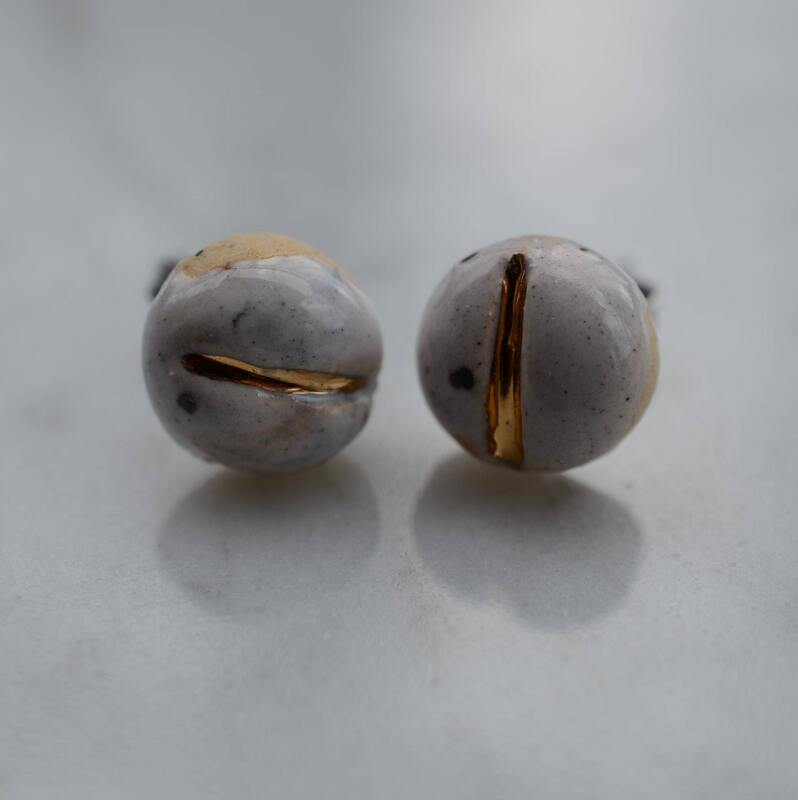 The gold line is first carved in the clay and then once fired twice i paint a thin line of liquid gold and fire the piece in the kiln a third time to fuse the metal to the piece. 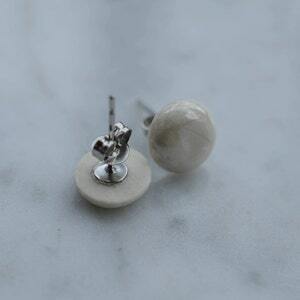 The backings are surgical steel and hypoallergenic.